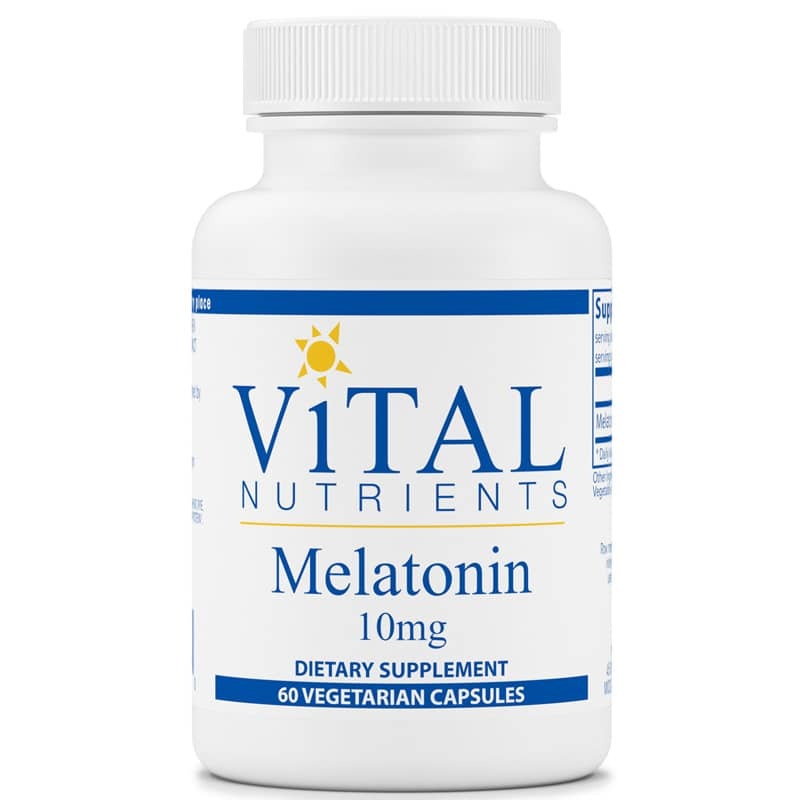 Melatonin 10mg from Vital Nutrients is a natural sleep aid that contains natural melatonin as a sleep remedy, natural jet lag remedy and for relaxation. Melatonin is a hormone secreted by the pineal gland, an endocrine gland buried deep in the brain that regulates sleep. It is responsible for regulating biological rhythms in humans. 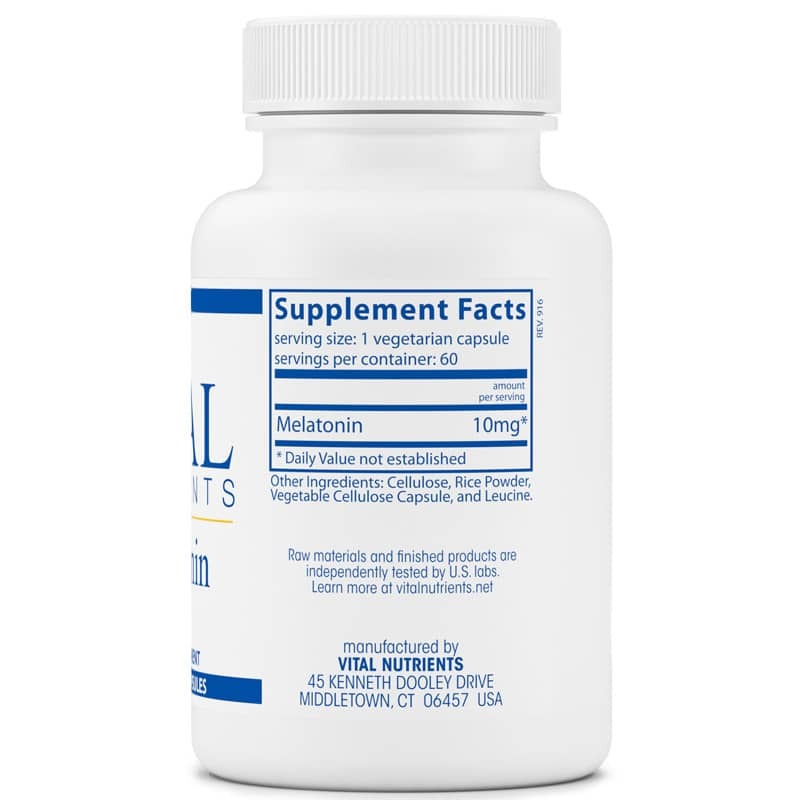 Melatonin is a powerful antioxidant and provides support as a free radical scavenger. Melatonin may also provide support for the immune system. As we age the natural production of melatonin tapers off. Other Ingredients: cellulose, rice powder, vegetable cellulose capsule, and leucine. Contains NO: coatings, binders, gluten (wheat, rye, barley), milk/dairy (casein, whey), soy protein, egg protein, sugar. 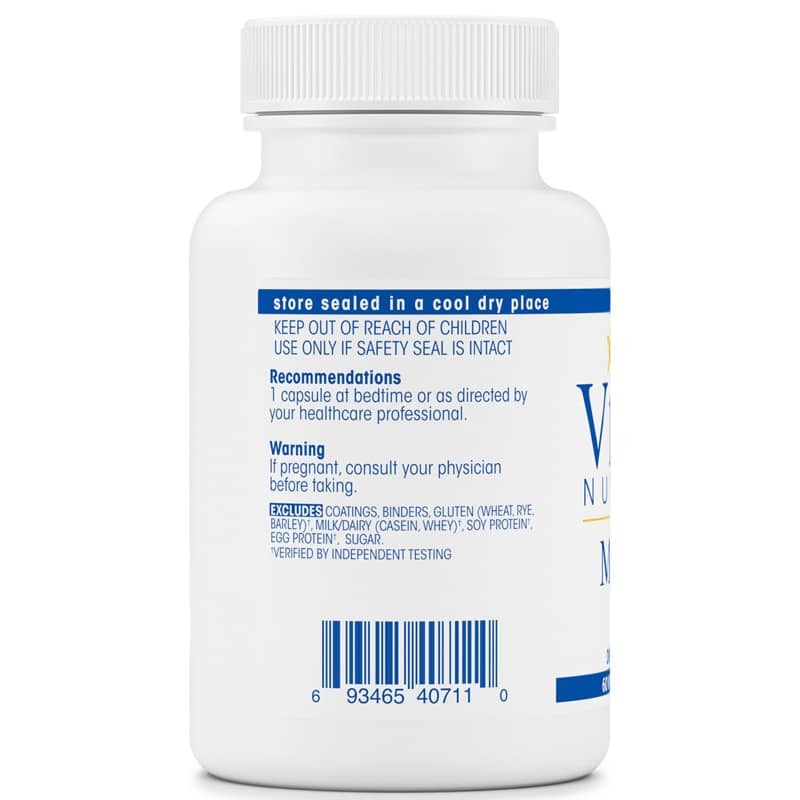 Adults: Take 1 capsule at bedtime or as recommended by a healthcare professional.